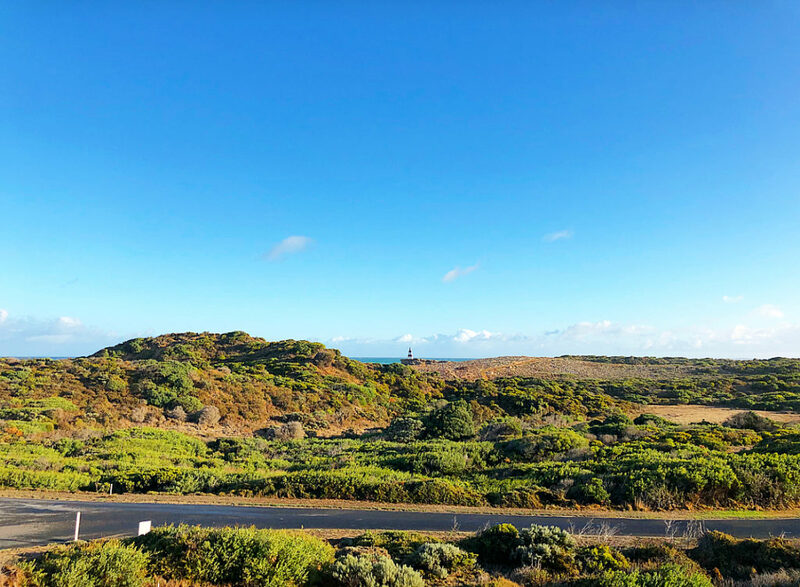 We’ve found our personal version of heaven in Robe! 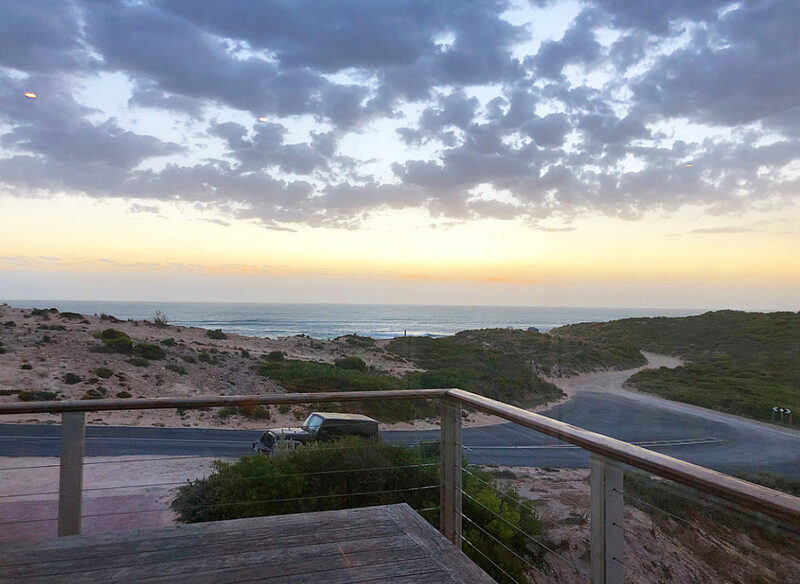 Sitting just behind a sand dune and overlooking the ocean is an idyllic home just waiting for you to visit! And the best part? 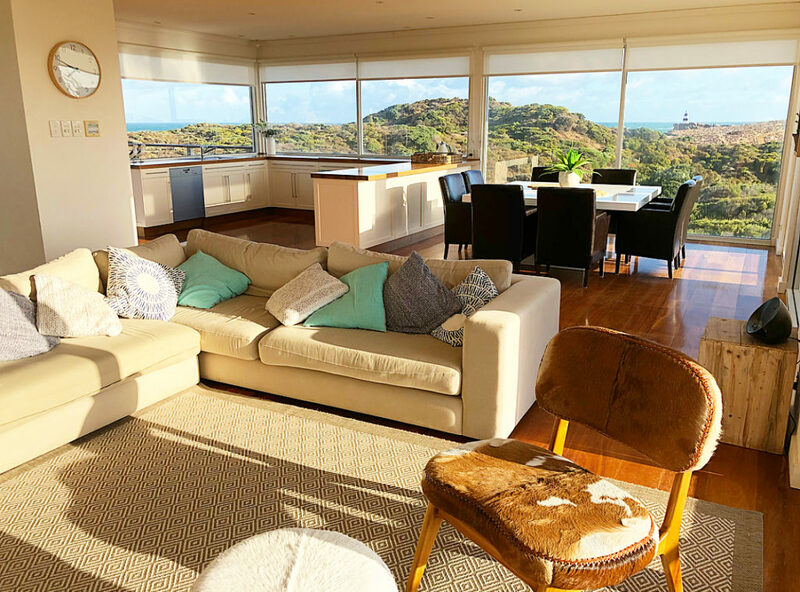 It’s just 1 of 30 Robe Lifestyle Properties that you can choose from! I’m writing this in the Portview House, from a squashy couch which is so big that I can hardly see Lauren, who is sitting down the other end. Ok, so maybe not that big but it is definitely ROOMY. 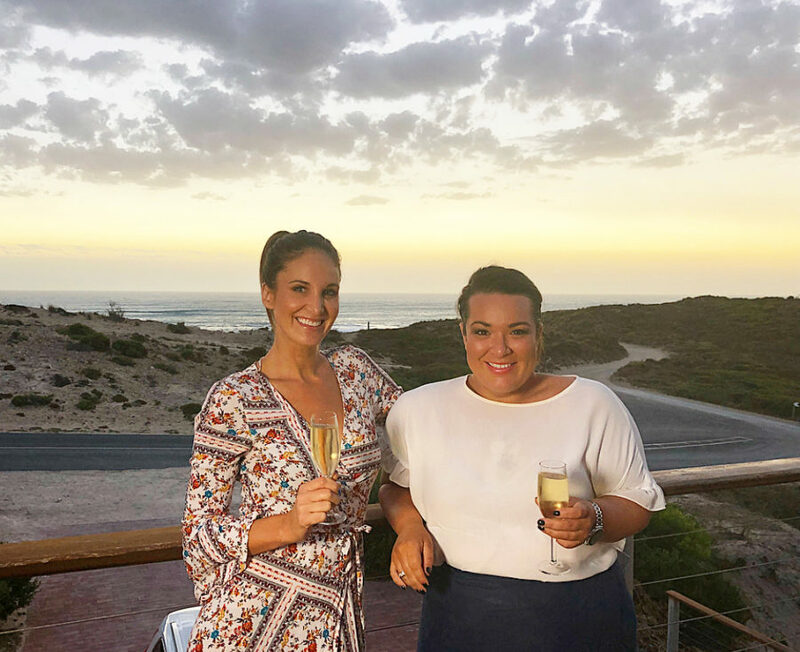 We arrived earlier this afternoon and were immediately taken with the property’s light and airy rooms and the wrap-around balcony that is just waiting for a cheese platter and some wine. 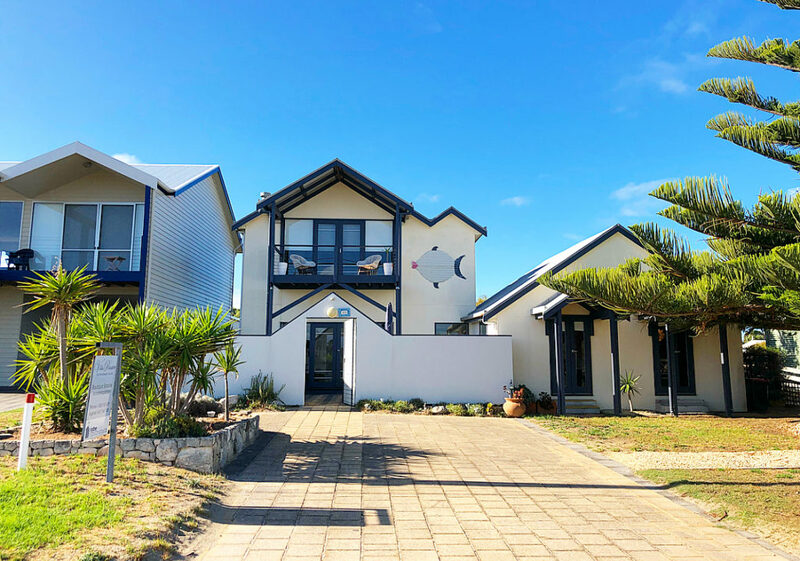 Robe is a beachside town so it makes sense that the houses reflects that, and man-oh-man did the interior decorators nail this one! The decor is fitted out in neutral tones, with pops of blue and green throughout reminding you that there is an entire ocean in your front yard. Originally we had organised for the crew to be split between 2 seperate houses so that we each had plenty of room but let me tell YOU something for nothing — we didn’t need them! 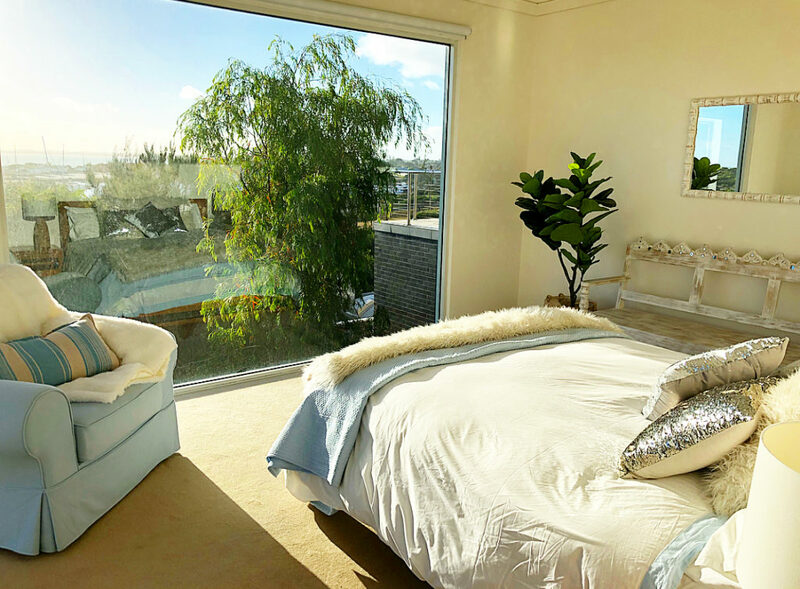 As soon as we walked in and spotted the 3 queen bedrooms as well as another bedroom fitted out with 3 single beds, we figured that we would have plenty of room even if we all shacked up together! The best part is that the house is split into two levels, with two seperate living spaces and bathrooms so that you can have a couple of families here to stay at the same time. 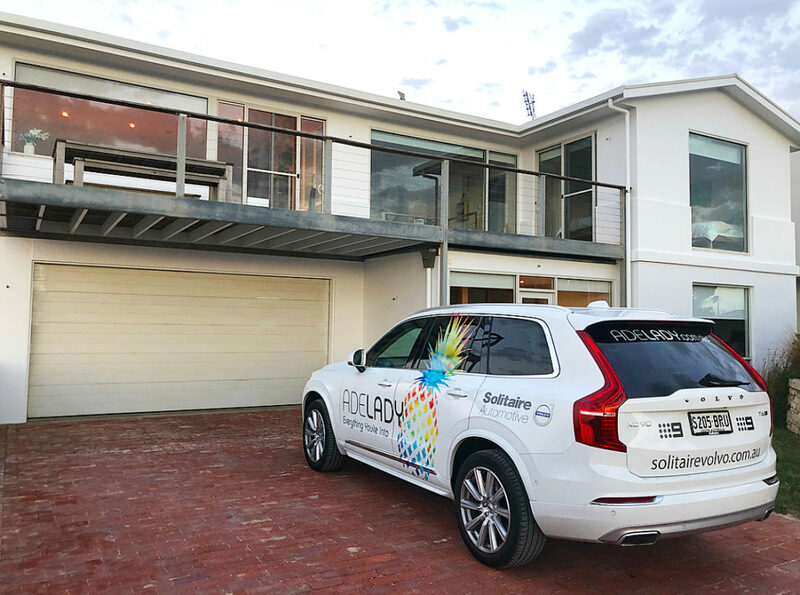 When you think of a beachside getaway you immediately picture hot summer days and long summer nights, but this house is decked out for any weather. 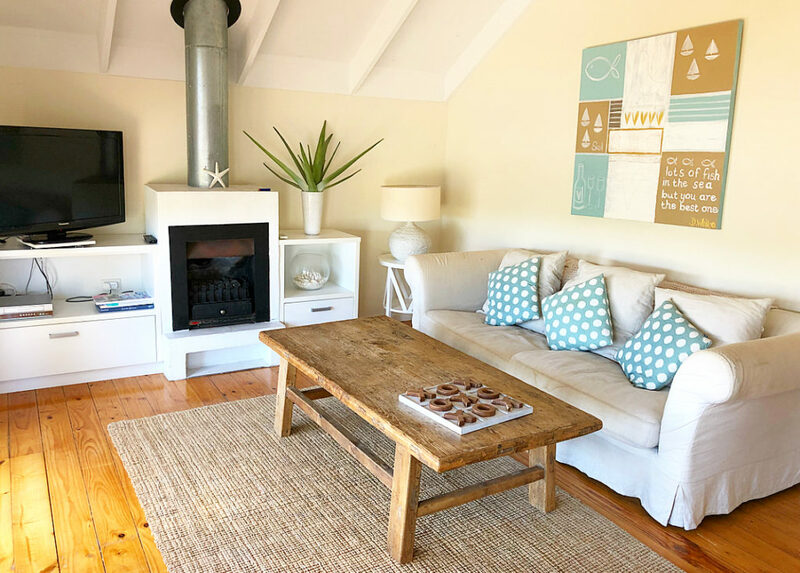 With inbuilt fires and plenty of logs of wood to go around you can snuggle up and get toasty warm in the middle of winter, OR you can open all the sliding doors and windows to let that sunshine in during summer! 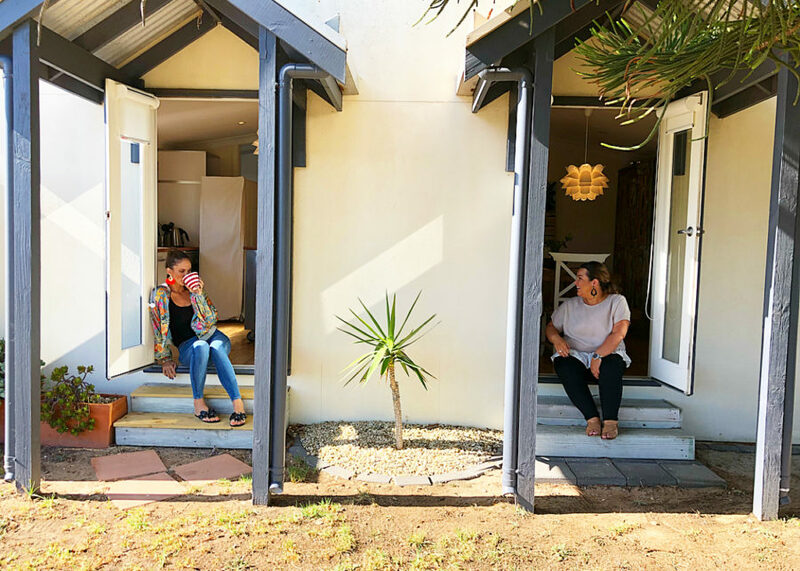 We’ve been raving about the house that we were lucky enough to stay in, but just in case you all decide to book a trip to Robe at the same time — do not fear! 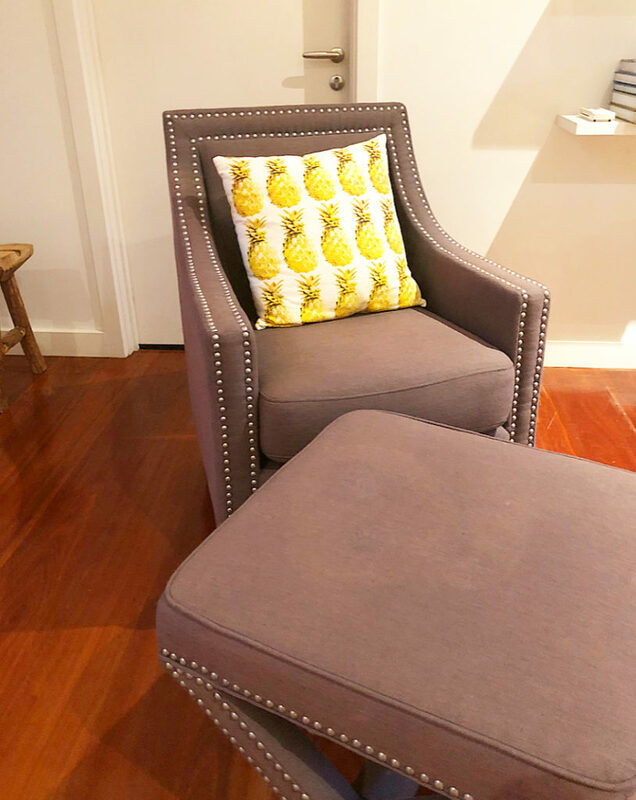 Robe Lifestyle Properties manage 30 different rental houses for you to consider, and if you’re not quite sure what you want then just take the compatibility test! That’s right, you can fill out the criteria and the perfect match for you will be suggested, so you know you’re going to arrive in your personal version of heaven. 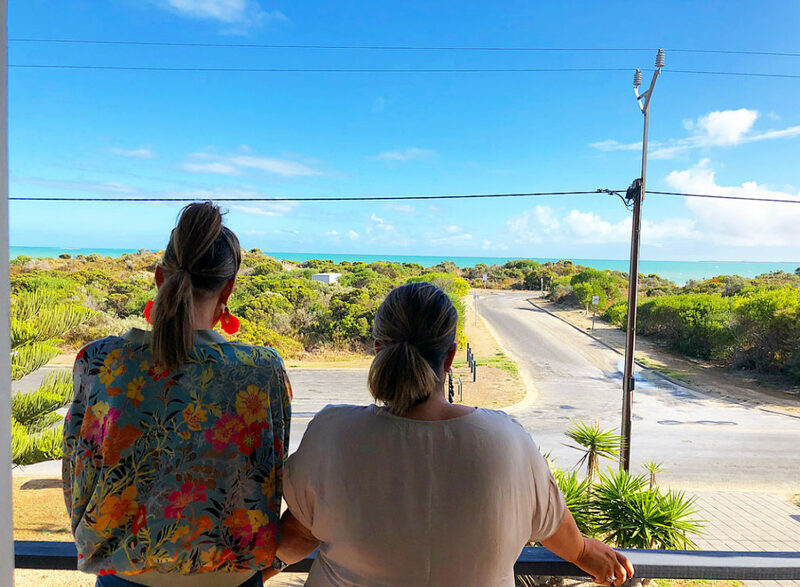 For example, we decided that maybe we also wanted a cosy beachfront property that was perfect for a single family to come and enjoy a little getaway, and we found this piece of paradise, Villa Pescatore! 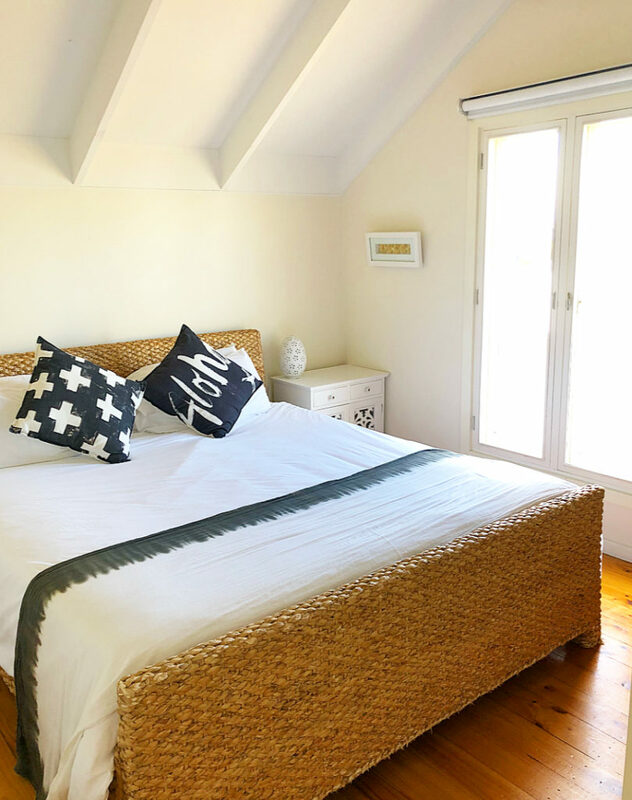 Whether you’re a family or a group of friends, or just looking for some me-time away from the city, there is definitely the perfect accomodation ready and waiting just for you! 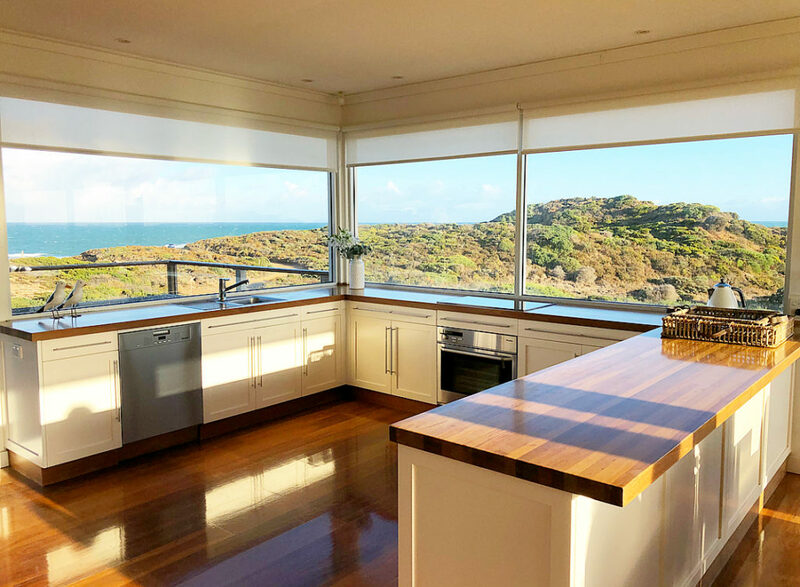 So next time you’re thinking of coming down to explore the south-east, make sure to contact Robe Lifestyle Properties to find your perfect match. Next PostWIN THE ULTIMATE GIN TASTING EXPERIENCE FOR 2 PEOPLE AT AMBLESIDE DISTILLERS!